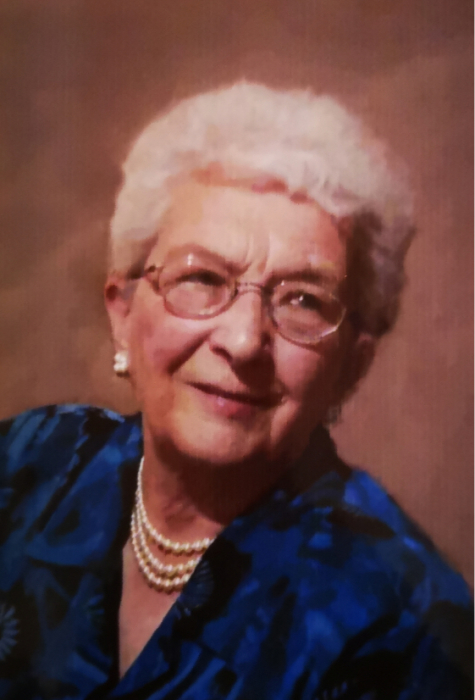 It is with heavy hearts that the family of Allene (Hector) Douglas announce her peaceful passing on January 21, 2019 at the age of 94. 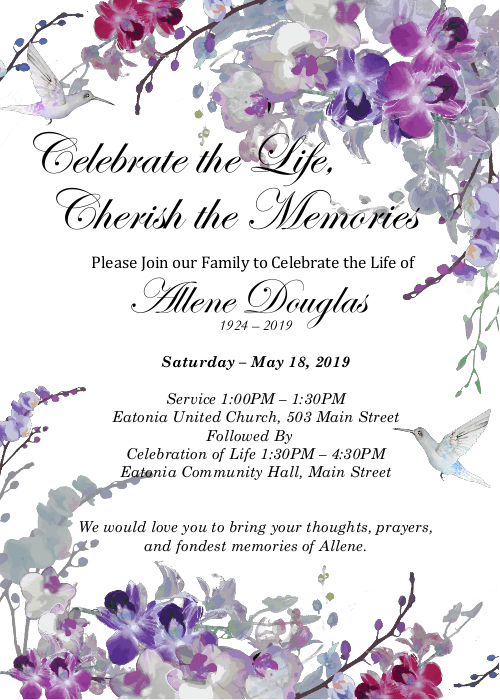 Allene’s life and memories will always be remembered by her loving husband Ted Douglas, her 3 sons Richard, Ed and Chris Douglas, her 7 grandchildren Courtney, Miranda, Brittany, Morgan, Cody, Cooper & Jet, her 3 great grandchildren and her sister Earla Blackwell. She is preceded by her parents Pearl and Richard Hector, as well as 2 of her sisters Murial Wainwright and Lorna Marsh. Allene was a leader in the community she loved and was a member of many community clubs and organizations. She had a love for traveling the world with her husband, reading, piano, photography and painting landscapes. Most importantly Allene’s true passion was giving herself to her family & friends in which she has impacted not just their lives, but the lives they themselves will impact from her guidance, mentorship and all-around love. There's still time to send flowers to the Memorial Service at the Eatonia United Church at 1:00 PM on May 18, 2019.